No matter what your personal goals are, Fitness 24/7 has a class to facilitate all types of workouts and body types. Committed to your making your body the best it can be? Sign up for one of our membership deals now! Struggling for motivation? Need someone to put a boot up your bum and get you back onto that treadmill? 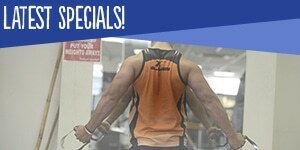 Welcome to Fitness 24/7, Auckland’s premier 24 hour gym. At Fitness 24/7 we are committed to getting you on the right track to make positive changes in your life. We pride ourselves on our unwavering dedication to provide our customers with the tools needed for a balanced and healthy life. If you want to lose body fat, improve strength, learn new skills and learn more about nutrition, Fitness 24/7’s Boot Camp is for you! The 10 Week Transformation Challenge has been designed to motivate you, inspire you, and challenge you to transform your body and mind for the best! Our corporate health packages are simple and effective ways to encourage your staff to become healthier and increase productivity within the workplace.